“The civilized man not only clears the land permanently to a great extent, and cultivates open fields, but he tames and cultivates to a certain extent the forest itself. By his mere presence, almost, he changes the natuere of the trees as no other creature does… It has lost its wild, damp, and shaggy look; the countless fallen and decaying trees are gone, and consequently that thick coat of moss which lived on them is gone too.” Thoreau – Maine Woods “If a man walk in the woods for love of them half of each day, he is in danger of being regarded as a loafer; but if he spends his day as a speculator, shearing off those woods and making earth bald before her time, he is esteemed an industrious and enterprising citizen. As if a town had no interest in its forests but to cut them down!” Thoreau Life Without Principle Yesterday I told my friend Xavier that I selected this wonderful house on the river because nature cocooned it from all directions. Each waking hour is a total immersion in nature, and with little effort I hurriedly identified over 50 species of birds from the vantage point of the back deck. 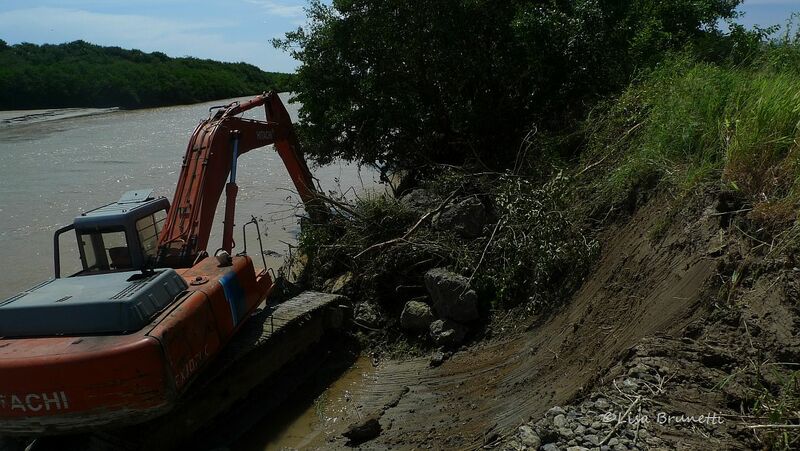 In June of last year (2011)we were happy when the municipality began bringing in rocks to help stabilize the river bank, but that bliss quickly turned to sorrow when the excavator driver began shoving down all of the mangrove trees! “Stoppppppppp!” I pleaded, as he brutally began the destruction! 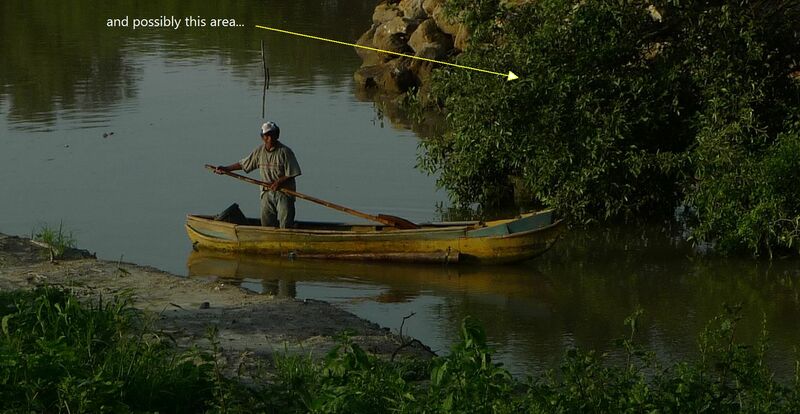 “The mangroves! Please, Save a few!” With a haughty laugh he said that they would grow back. With a heavy heart I watched as the excavator destroyed the trees and stacked a barrier of huge boulders as if building a fortress to keep away the enemy. 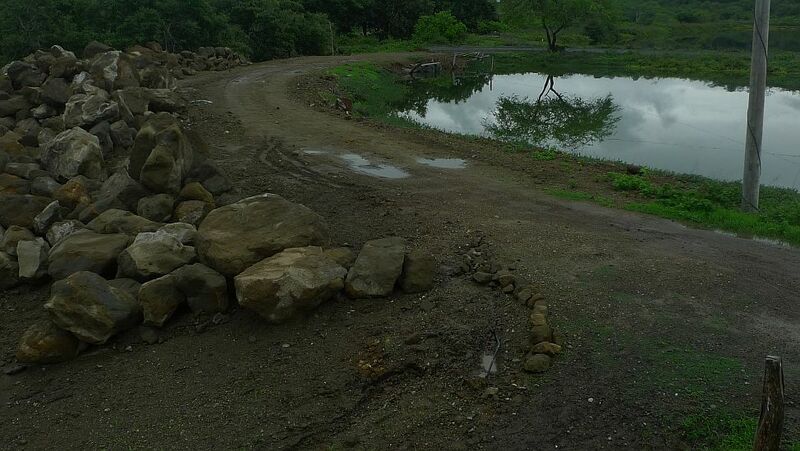 After three weeks of work, they abandoned the project and moved elsewhere and left a queue of rocks that stretched from the public road to the house. For nine months the rocks and I stared at one another. No improvements could be done at my house until the rock work was finished. The work resumed in early April, and after two power-line mishaps and one near miss with a toppled mangrove, the fort wall was finished. 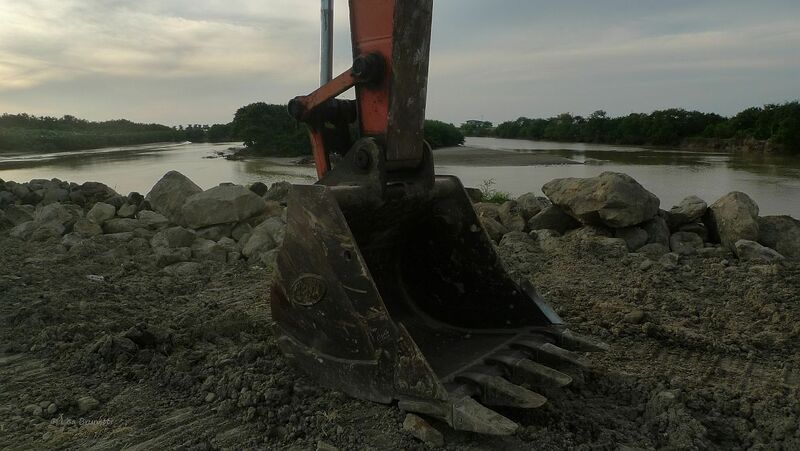 The excavator moved further down river and was soon destroying a new section of mangroves. Mother Nature finally bit back, to my delight! Throughout the year, the dawn symphony is one of wonder; the tweets, twitters and rat-tat-tattling of wrens, swallows, kingfishers and flycatchers harmonize with the raucous cacophony of the awakening waterbirds. 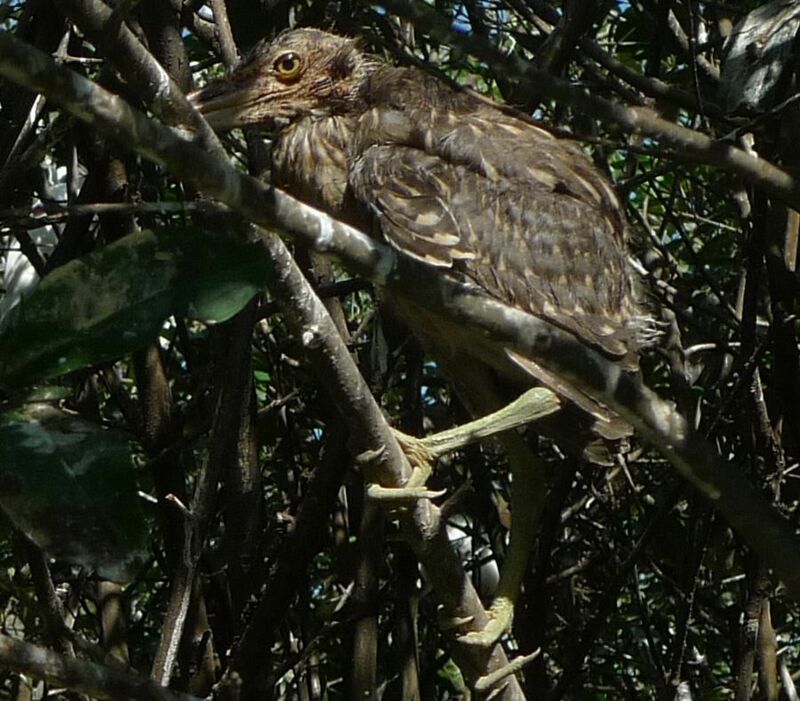 The river is a complex organism, and all creatures have their pecking order and claim certain areas as their own. 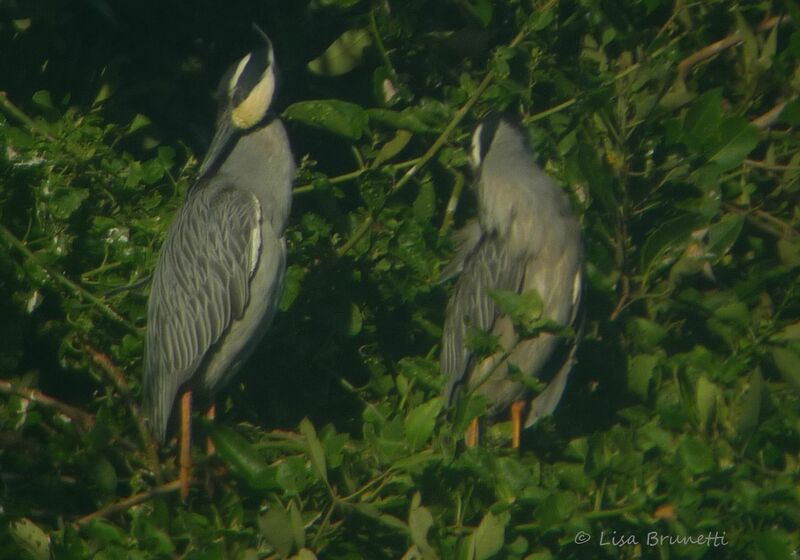 Yellow-crowned Night Herons preen in early-morning sunlight as seen from the deck. 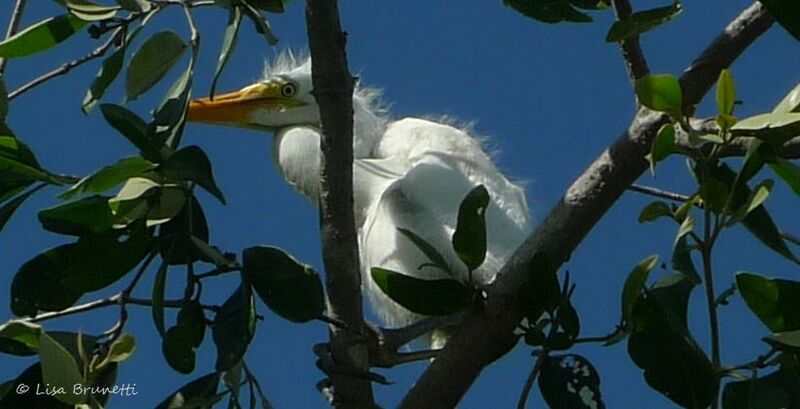 Yellow-crowned night herons and great egrets share the large mangroves a stone’s throw from the deck. 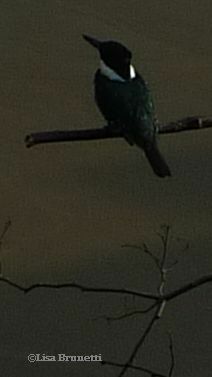 Ringed and green kingfishers claim the shaded river bank just beyond the deck and fiercely guard their territories. 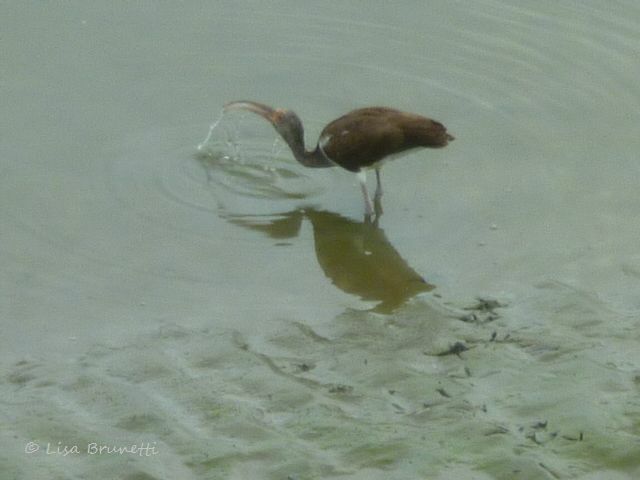 Just upstream is an amazing cluster of ibis, egrets, herons and frigates! So sorry Lisa. I know how you love all the trees and the beauty of it all in your little piece of Paradise!! I wish this could all be stopped!! A little sugar in the fuel will stop them for a little while!! Oops, I didn’t say that did I? Ha! I am so sorry about the destruction of the nature around you. 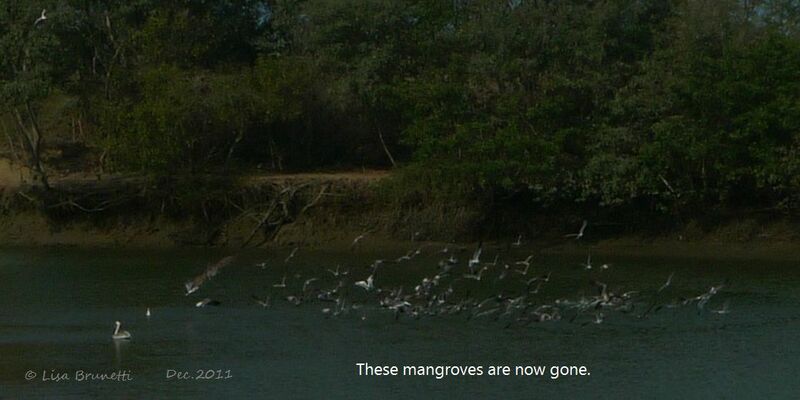 It’s really a sad story and I can only feel with you – and the animals in the mangroves. Si; When one is a guest in another country, it’s very difficult to know how to react. It’s been a difficult month with the machine running 9 hours per day while I stay focused on preparing for next Friday’s opening. If they push down those large mangroves while I am out of town, I think I will go sit on the President’s front steps until I speak to someone who will listen! 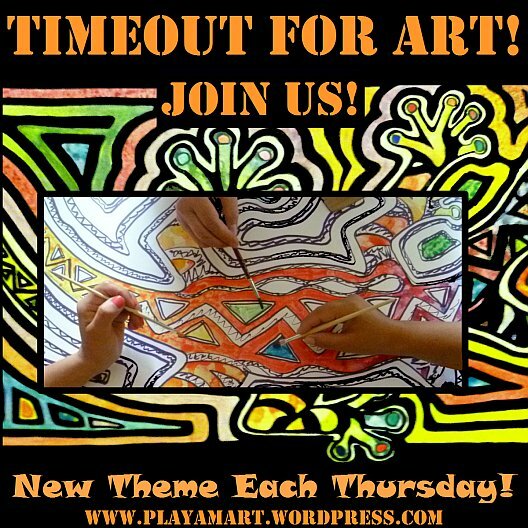 Thank you Lisa, Please give a contact email address as I rather not publish some comments on the net without vetting to the blog owner. You can of course see my address and I cannot seem to find yours. Thanks again for posting these photos and information.